I'm probably sounding kinda narcissistic but everyone is born with a tremendous love for oneself. Loving ourself does not necessarily mean over-indulging ourself. It is actually being responsible for ourself and to build a healthy degree of self-respect. 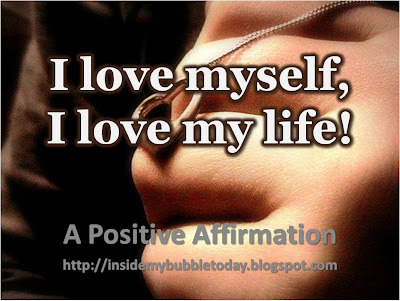 Loving ourself is an acceptance ... accepting who we really are and being comfortable with it.